Improving products. Improving processes. 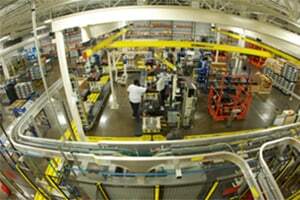 Learning from experience, building upon strengths, and continually working to work faster, smarter, and with increased quality to deliver better products – and better business performance for our customers. That’s what Piston Automotive is all about. 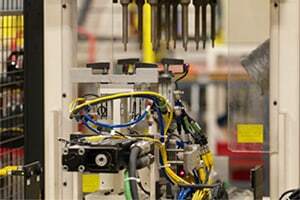 Our team leverages new technology, knowledge, and techniques to optimize reliability and affordability, execute complex product designs, and create innovative solutions for complex manufacturing and assembly problems. That means a better product – and better performance for your business. 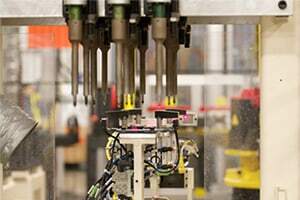 Putting together quality, efficiency and value. 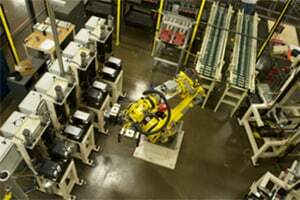 SINGLE CELL WORK STATIONS are suited to low-volume and complex assemblies. 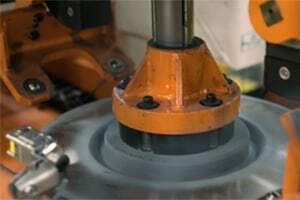 These enable one-piece flow and high-level inspection, as well as offering flexibility in tooling configuration. 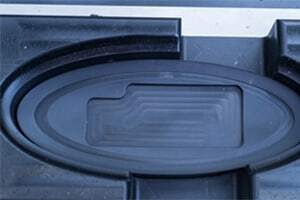 This approach is suited for products with slower cycle time requirements. 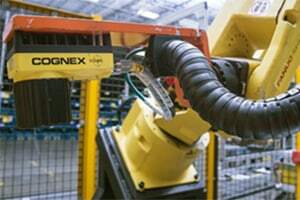 AUTOMATED INDEXING CELLS enable consistent, repeatable fixturing, and are suited to a variety of error-proofing systems that fit well for robotic integration. 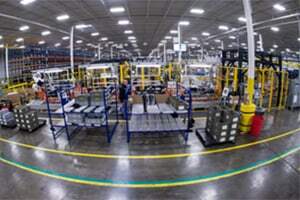 They allow production rate flexibility and require minimal changeover time and effort. 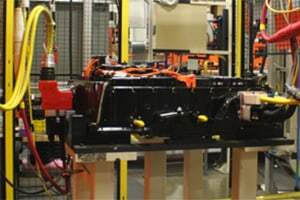 POWER & FREE CONVEYOR SYSTEMS are suited for large complex modules and assemblies. 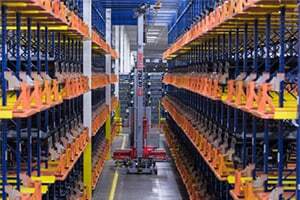 We employ modular, efficient station configuration, and create a broad range of build configurations. 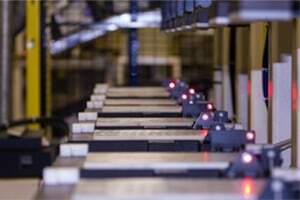 These Systems are typically the most cost effective and robust solutions, offering a fair amount of flexibility for future changes. 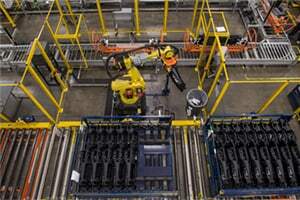 AUTOMATED GUIDED VEHICLE SYSTEMS are also used for large complex modules when increased accessibility is required throughout the process and the highest amount of system flexibility is needed. 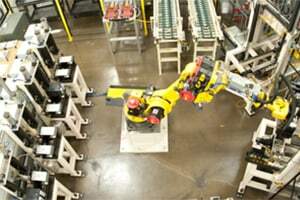 The Piston Automotive’s sophisticated strategic approach to assembly and manufacturing process leverages robotic integration in order to achieve the highest possible product quality and uniformity, while maintaining the required ROI thresholds. 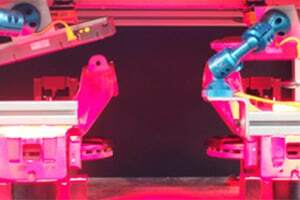 These systems range from material handling and product processing to full robotic vision inspection stations. 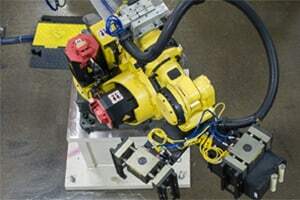 Our robotic vision systems utilize high speed, high definition camera systems capable of verifying presence, position, dimensions, color and texture providing visual feedback to the team members on all error conditions. 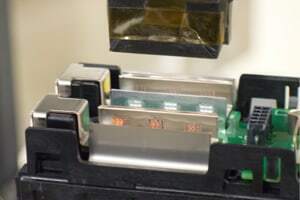 In addition, all images are serialized and stored for additional product verification and traceability requirements. The proof is in the error proofing. One kind of error is superior to all others: The one that never happens. 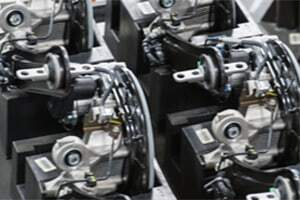 The Piston Automotive’s error proofing and testing strategies and procedures are oriented towards attaining the highest possible levels of quality at all points in the manufacturing process. 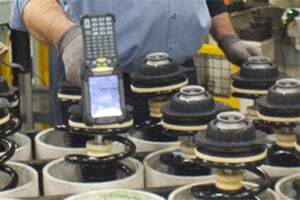 Our goal: to ensure that no defective parts emerge at the end of an assembly line. 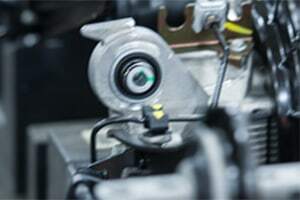 Prevention is the first stage of the Piston Automotive error-proofing methodology. 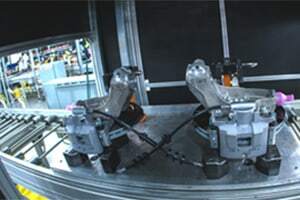 At the process design stage, we work to create an environment in which it is physically impossible for an operator to build a part incorrectly. 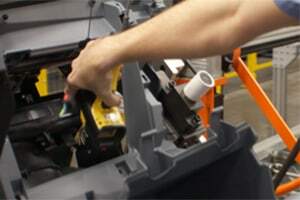 As a safeguard, we introduce sophisticated detection and inspection systems in each workstation to immediately recognize problems should they occur, and to trigger immediate corrective measures. 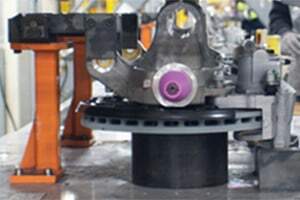 Contact and non-contact measurement systems, torque systems, barcode scanners, in-station fixed vision systems and part presence sensors along with many other tools and techniques provide multiple layers of error proofing to ensure defect-free production. 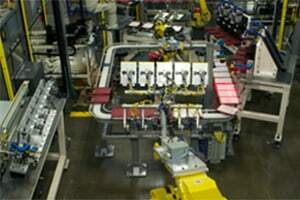 In-house designed and developed end of line and in-process robotic vision systems using robot mounted high-speed, high-definition camera systems enable automated sensing of part presence, orientation, dimension, color, texture and other factors to facilitate error-free assembly while providing visual feedback to the team members on all error conditions. 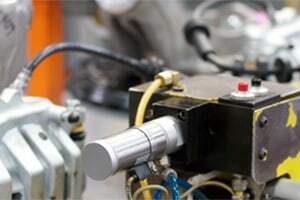 In addition, end of line and in process electrical testing and leak testing is integrated throughout the assembly process as required. 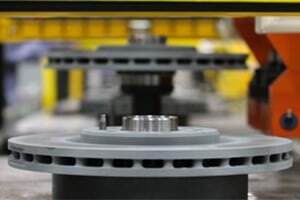 Collection, Reporting and Traceability of all assembly process data has been standardized throughout the company. 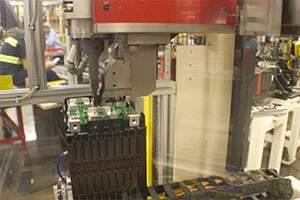 Piston serializes 100% of the modules built, all critical process information is captured and stored for the life of program and can be accessed for root cause analysis or system capability. 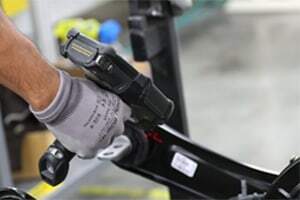 This data ranges from time stamp of all operations, component traceability requirements, torque and measurement information, test data and all vision inspection images captured in the assembly process. “Just In Time,” every time. 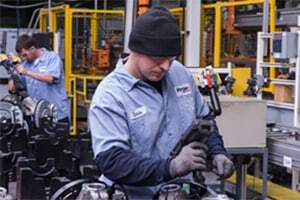 Piston Automotive strives to continually maximize the value of our clients’ investment in us. And we’ve consistently demonstrated our ability to deliver. 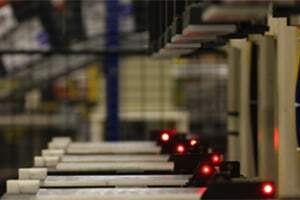 Today, one of our core competencies is “build to sequence” work: We’re experts in “Just In Time” and Build To Sequence protocols, including Broadcast and In Line Vehicle Sequencing. Best of all, we continually deliver just in time, every time. 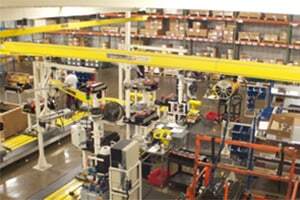 When a new project is initiated, we work to quickly establish new lean facilities in close proximity to our customers. 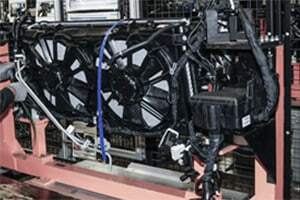 Relying heavily on our in-house best in class processing standards, we are typically capable of bringing a new plant online within as few as 32 weeks. The result is shorter path from drawing board to showroom, and a quicker time-to-market. 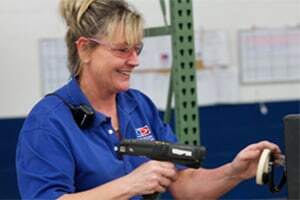 Piston Automotive’s extensive experience in meeting the rigorous requirements of some of America’s leading automotive manufacturers has given us a significant competitive advantage through our unmatched materials and expertise. 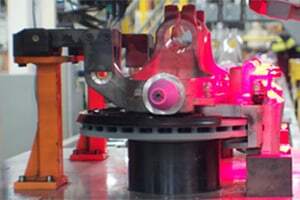 We employ a full range of real-world-tested methods that deliver consistency, durability and strength, ranging from “low tech” riveting to welding of dissimilar metals. 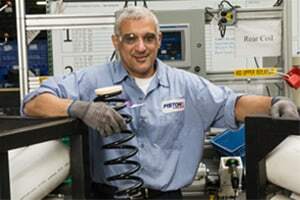 Piston Automotive is continually expanding the range of our capabilities – and the services we offer. 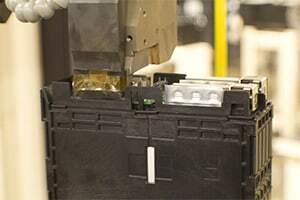 We have established a Center for Integrated Electric Vehicle Battery Expertise, incorporating our integrated assembly knowledge and advanced manufacturing techniques that includes welding of dissimilar metals, hazardous material processing, and sophisticated electrical testing and charging capabilities. 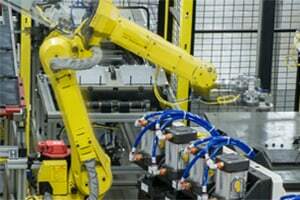 These capabilities have established us as one of the most experienced, highest quality automotive battery processing suppliers. 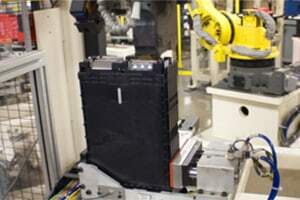 Piston Automotive assembles and tests battery packs for Hybrid and full electric vehicle applications. 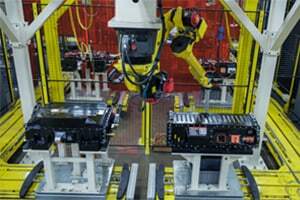 Today the Battery System, being the most complex electrical system in the vehicle, requires a high amount of automated / robotic processing, such as cell testing, isolation, tab forming, module stacking, ultrasonic and laser welding. 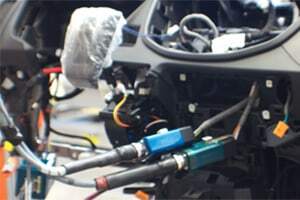 We provide full system level testing, charging, and balancing services, ensuring that batteries leaving our facilities are prepared to perform perfectly in the finished vehicles.